I went browsing through some other cross stitch blogs really quick today. What I realized is that a lot of stitcher’s show their current Work in Progress (WIP), they talk about the time, and they show the finishing or framing of the project. However, they rarely mention why they stitched that particular piece. This got me thinking about what I stitch and why I stitch it? Lately, I have been doing a lot of projects for charity. I have stitched and finished Christmas ornaments for the Needlework Angel Tree that Embroidery Central will be setting up in July. The proceeds from these ornaments will go to local organization to help them buy Christmas presents for kids. I hand embroidered some bread clothes that were auctioned off for a local benefit to help someone pay their medical bills. 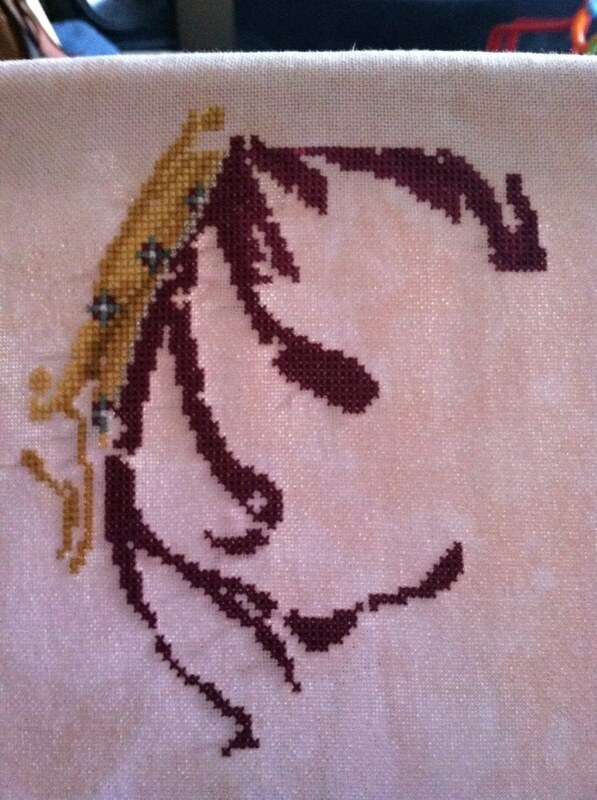 I have stitched projects for various cancer organizations to sell and raffle off. I have two bigger projects that are being stitched for my children. Of course, they will hang in my house until I am gone then get passed down. I have projects waiting to be framed that are for my husband or for my kids. I have even stitched a project for someone who posted an add on KSL. The reality is I stitch for everyone else and never for myself. Maybe, its time I start a project just for me.